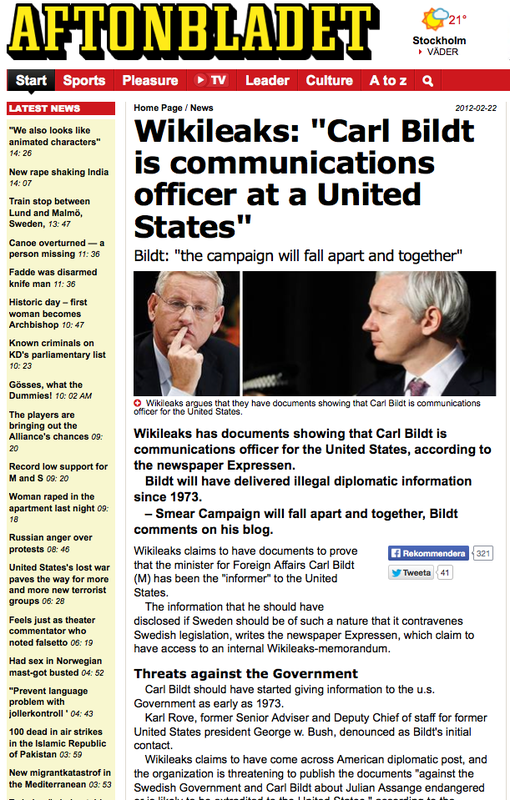 On the one hand Carl Bildt DO NOT REPRESENT (I insist) THE OPINION OF THE SWEDISH PEOPLE AT LARGE. On the other, NONE among the Swedish political parties has ever asked for his dismissal as foreign minister, or even initiated a constitutional investigation, or at least a serious criticism against the pro-Nazi stances he disseminates around the world in the name of SWEDEN. At the Swedish blogging grassroots, to the best of my knowledge, no one except of Professor Anders Romesjö (Jinge.se), good old Rixstep, and among a few others the Professors’ blog – is doing anything serious June 2014 to get him out from the pseudo frame of respectability in which Bildt has embedded his demoniac statements, convincing very many abroad that those are coming from the “Arvfurstens Palace” [The Swedish Foreign Office] See images]. In fact those arch-violent opinions are only grown amidst the minimalistic keyboard of his cellular phone. Or nearly so. 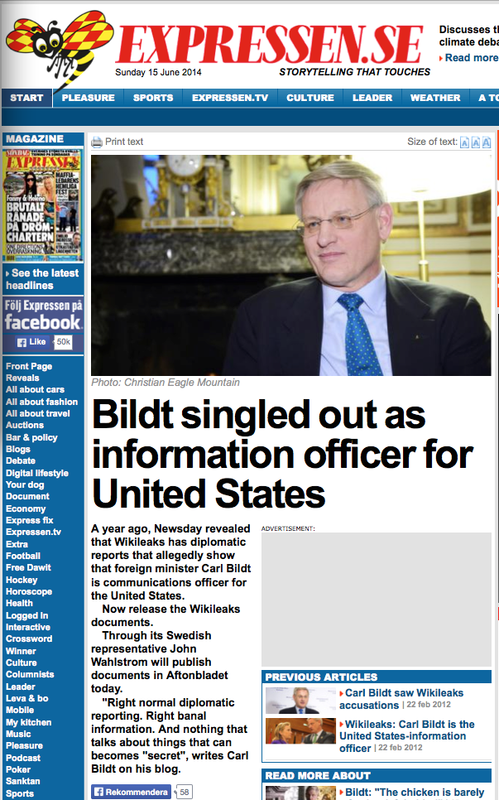 . .
For in fact, it has been seriously put forward that Carl Bild is a genuine US government agent. An American government’s info rmant. I dare say that the hawks at the US agencies uses Bildt for the public utterance in the international forum of their own extreme views on American “über alles” (not Über alles in der Welt, but in den MÄRKTEN der Welt) and which they cannot put forward themselves because of the Constitution, attentive journalists or critics such as Andre Kreig, etc. In a chapter of my book “Sweden VS. Assange. 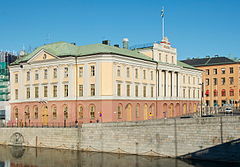 Human Rights Issues” (the referred chapter being ” From Jean Batiste Bernadotte To Carl Bildt. 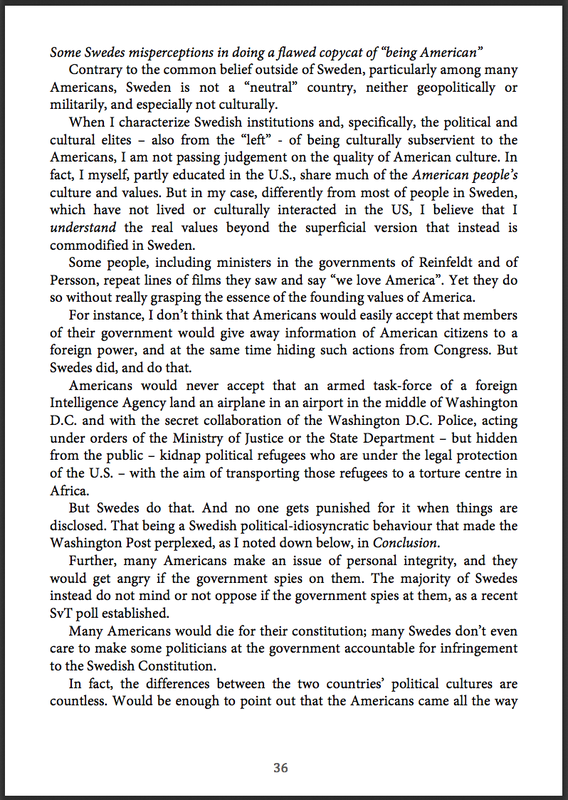 In The History Of Sweden’s Violations Of Its Neutrality Oaths “), I develop on “Some Swedes misconceptions in doing a flawed copycat of “being American” [see a facsimile of the page in References & Notes, down below]. This culturally “misrepresentation” of America at large is a phenomenon that it seems also characterizes Carl Bildt – and other politicians at the government and opposition elites. In essence, this misrepresentation consists in a pop-cultural or ideological “US inspiration” that for most of the US-influenced Swedes it comes from the right-wing America. As youngsters drive around American cars with the Southern flag representing the defenders of slavery during the American Civil War, the politicians drive the thesis of Kissinger, George Bush, etc. Not a few of them gets inspiration in extreme right-wing sects such as the Ku-Klux-Klan. The language of violence used by George Bush i “angelical” i comparison with the utterances of Carl Bildt. 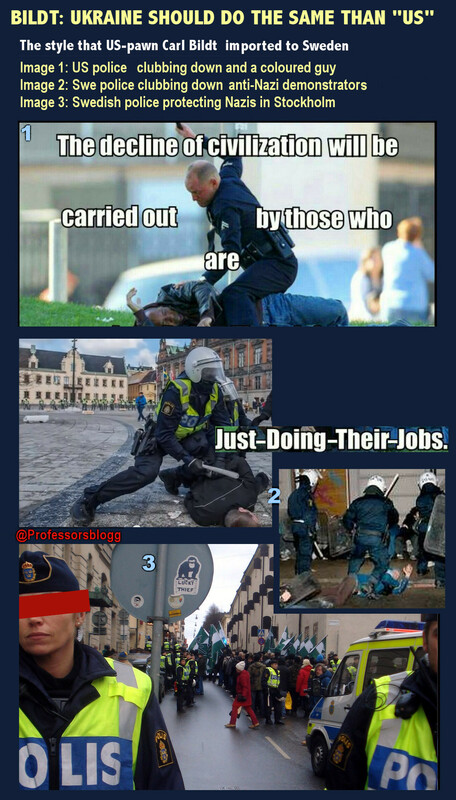 The thing being that Carl Bildt seems to adore violence, in the meaning of repressing with police brutality any form of protest his ideology would not tolerate, his concept of what “order in the world” it should be about. 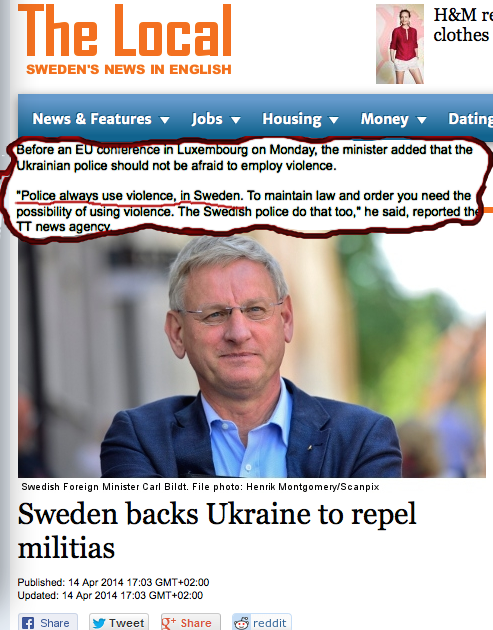 And now we know with certainty which is Bildt’s concept of societal order: it is the fascist order. 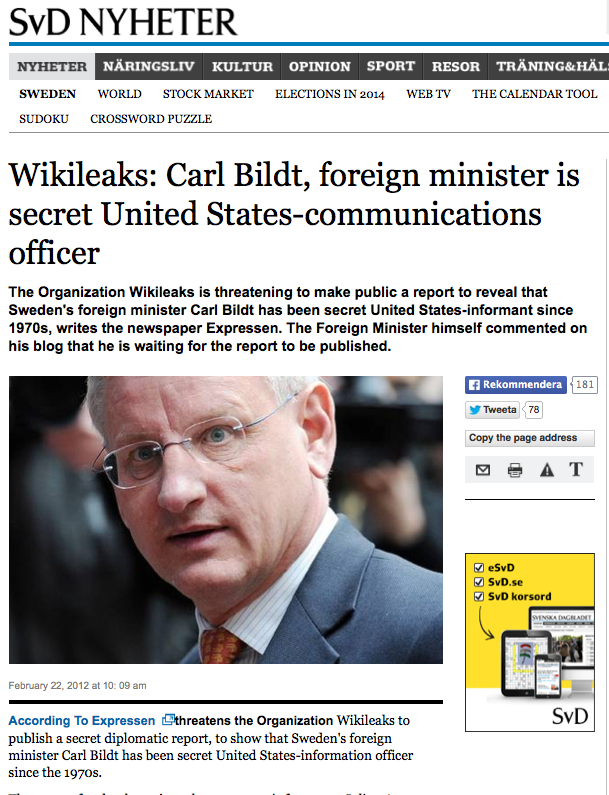 Bildt not only legitimate without qualifications the use of police force in Sweden. He also advocates the use of force. In Sweden, where police brutality in clubbing down leftists or anti-fascist demonstrations is just absolutely known as the Swedish police lenience towards the Nazis’ demonstrators. Further, the police protect them. And, more over, some police officer shave seen wearing in their uniform such emblems (like an additional Swedish flag) used predominantly by the Nazis. And there are a lot of Nazis in Sweden, and a huge amount of police. I do have the comparative statistics of police forces in Europe, but I have the prosecutors figures. And I can say that Sweden has the highest number of prosecutors (working closely with the police) in all EU. 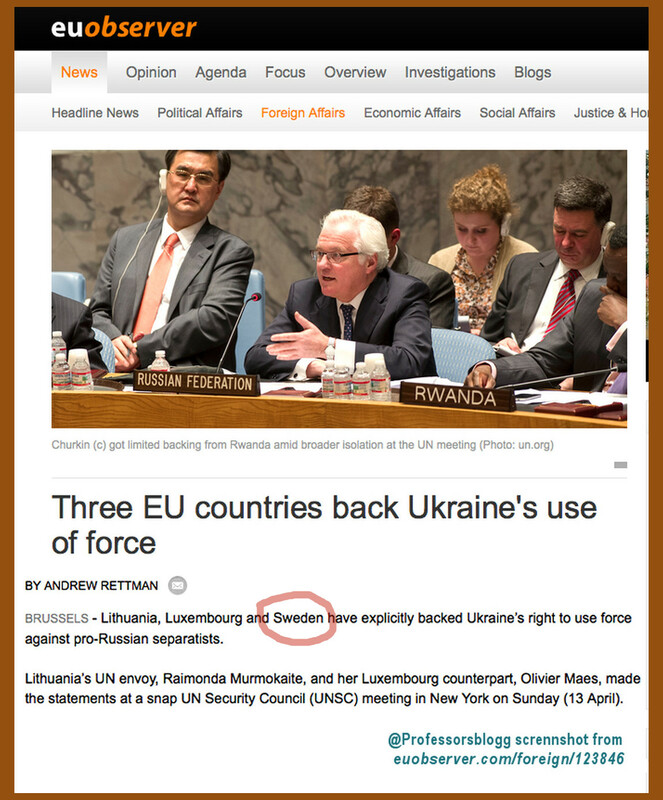 See for instance my analysis “Does Swedish justice depend on who stands accused?“. Secondly, the police brutality, particularly against immigrants and refugees, goes over public excesses that even the docile Swedish press could not avoid to comment. And in these contexts, if some politician at the f´government, as Bildt, is going to praise the use of police force, it is naturally expected that he would qualify such statements by at least warning on the “excesses” in the use of police force. But he doesn’t. 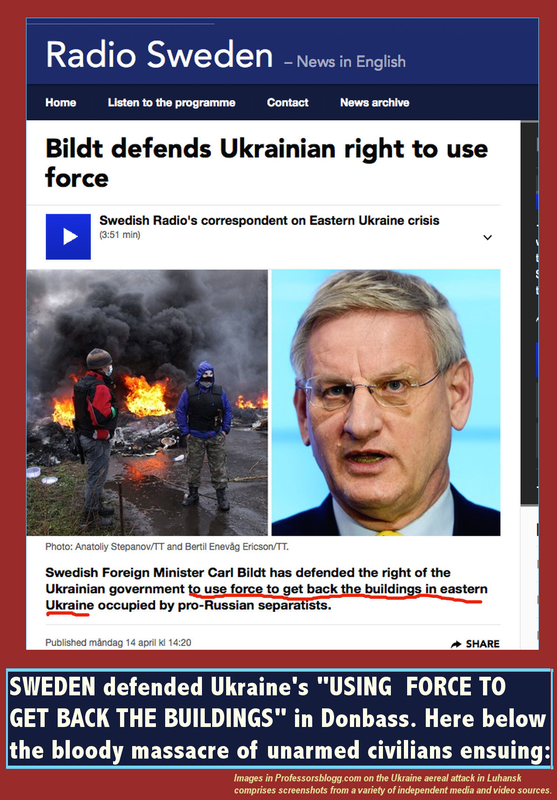 Based in his fascistic approach to violence against demonstrators, Bildt of course produce the statements like these ones shown below, recommending the Fascist Junta in Ukraine the use of force, and more force. The results we have seen in the multiple massacres against the Donbass people, as referred here in Ukraine Fascists: Three massacres in only one month. ← What the ethnic cleansing in Donbass – the so called “Ukraine Crisis” – is all about? Might you add some share buttons, please? It would make it so much easier to disseminate your posts (especially re this “gentleman” given his recent pro-“Union”, Barrosso style intervention into the Scottish re-independence debate on behalf of his comrades-in-arms in the imploding British state. I suspect they would go viral given your data). Hope you do not mind this request.